Autumn is a beautiful time of year on the coast of Maine! 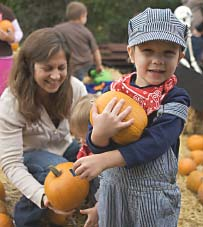 Enjoy the beauty of the season with a visit to the museum and a ride aboard our Pumpkin Train. Children can explore the museum and decorate a miniature pumpkin to bring home as a souvenir of the day. All visitors are treated to complimentary hot cider and cookies. Fun for the whole family and a leisurely way to enjoy the sites of Casco Bay! Previous Post7 Awesome no-carve pumpkin decorating ideas! No knives required! Next PostMix-it-up with these super easy “dump-and-run” Halloween Treats!